Meng Woo was trained in contemporary dance since 19 years old under Rivergrass Dance Theatre, after this he fell in love for the dance elements of ethnic Southeast Asian when joining the dance repertoire “Re: Lady White Snake” as the role of scholar. 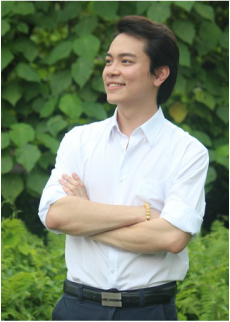 He loves observing and absorbing the ethnic cultural dance during his stay in the border of Thailand and Cambodia when 25 years old. Beside, he also visited Balinese dance master to study the essence of their traditional dance. Meng Woo came back to Malaysia and returned to stage performance in 2010. He intergrates the practice of ashtanga yoga in his daily life because he found that spiritually there is a click between Southeast Asian Dance and Yoga. He hopes that the inner energy of yoga could be reflected in his performance. Alana has been actively involved in performing arts since 5 years old. She has won numerous title in rhythmic gymnastic and was crowned as Miss Fitness Malaysia in year 2005. The richness of her voice made her one of the popular voice over talent for TVCs, radio commercials and corporate videos. She was also acted in local dramas such as <The Glittering Days>, <Neighborhood>, <Zero Hero> and others. All the experiences and her talents have path her into famous Malaysia musical performance such as <Princess Wen Cheng>, <Mystical Journey to Putuo Shan>, <Yao Lee The Legendary Rose> , <Singing Market The Musical>, <The Perfect Circle III> & <Siddhartha The Musical> in which she act, sing & dance. Edward was graduated from Singapore Lasalle College of the Arts. 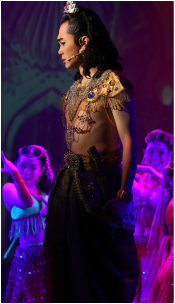 He was studied vocal from Soprano Ruth Lim & Soprano Stella Zhou. Beside that, he is learning vocal from Tenor Joseph Liew recently. From the age of 12, he started learning music, and he was managed to get the ABRSM cert. of Piano, Vocal and Theory. After graduate from school, he has participated and gained many experiences from the competitions and performances in Korea, Austria, Taiwan, China, Singapore and so on. Recently,He has won the champion in 39th Nationwide Classical Singing competition in male category. 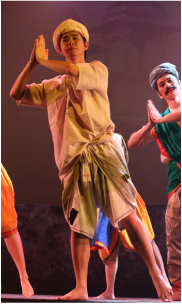 Matt started learning chinese traditional dance at the age of nine . Beside that, he has study Ballet and Contemporary Dance as well. His choreography which participated in nationwide chinese dance festival recently is highly been highlighted. Danson is from Penang. 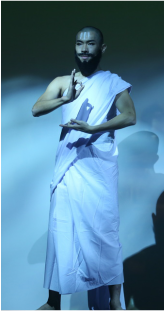 He graduated from University of Malaya in Performing Arts with a Dance Degree. 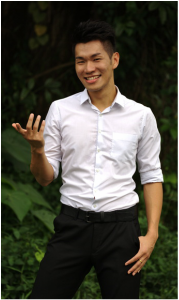 During his studies in university, he learnt from Mr. Leng Poh Gee, Mr. Wong Fook Choon, Ms. Wong Sze Pooi and many more. Recently, he had completed R.A.D. exam in intermediate level with distintion. 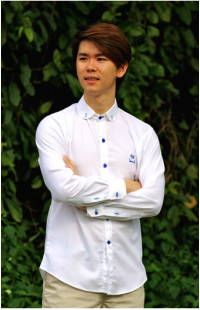 He joined Kwang Tung Dance Troupe under a training program and was one of Tea Theatre’s Tea-Two members.